Ashley Martis has founded his own start-ups, one as a teenager. Now, two of his ventures help start-ups get the advice they need to secure financing and take their business model to the next level. As a teenager, Ashley Martis was in the Air Cadets. He says it taught him a lot about leadership, beyond what it takes to get airborne. Martis received two scholarships, and got his pilot’s license at age 17. Now Martis, 26, helps start-ups to take flight thanks to his own two start-ups: the consulting firm Pangea, and startupfuel.tv, a YouTube series that showcases entrepreneurs. He started his first business as a teenager, an algorithm-based stock investing company, and later founded a tech start-up in the media industry. 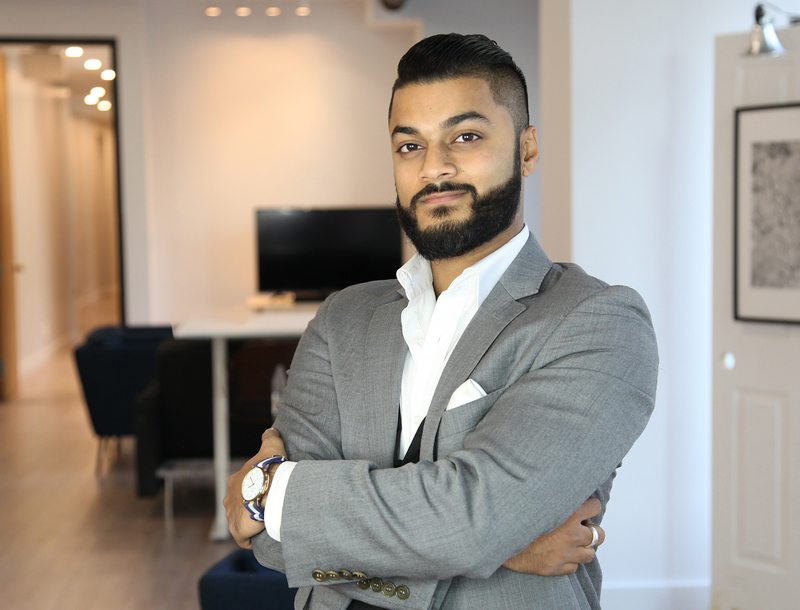 Martis has a degree from York University’s Schulich School of Business, and has worked as an analyst at TD (financial intelligence) and Procter & Gamble (supply chain management). In 2015, Martis launched Pangea. The firm advises early stage start-ups and SMEs around revenue growth and business model generation, and helps clients do their due diligence before investing. The Pangea team has the expertise to assist with technology development (apps, e-commerce, software), solve clients’ pain points, and analyze a business in detail using a nine-level Investment Readiness Scale. The results of the latter help clients determine when to raise capital and exactly how much to raise to ensure scale and sustainability. Martis named the consulting firm after the super-continent that existed around 300 million years ago. The name suggests the company’s mission. “The start-up world is very fragmented. We want to allow more collaboration and bring the world together in one place,” he says. Two years after starting Pangea, Martis created sister company startupfuel.tv to bridge the gap between start-ups and investors. The interview show (he hosts it) gives entrepreneurs a platform to pitch their businesses to angel and venture capital investors. The mission is to get quality start-ups funded faster and more efficiently than ever before. Martis is forever expanding his network, typically taking part in multiple events each week. He figures he has met over 45,000 people in the past eight years or so, all over North America and beyond. Wherever he goes, he likes to get together with entrepreneurs, incubators, accelerators and other members of the start-up community. Then Martis brings all of that knowledge back to help clients prosper. He notes that the failure rate for start-ups is around 90%. He’d love to transform that into at least a 50% success rate. Whether start-ups live or die comes down to numbers, and Martis has important benchmarks for his companies too. One gets at the heart of what it means to be an entrepreneur.